FOR DECADES, MY UNCLE HAROLD RAN the filling station along Minnesota State Highway 19 in Vesta. 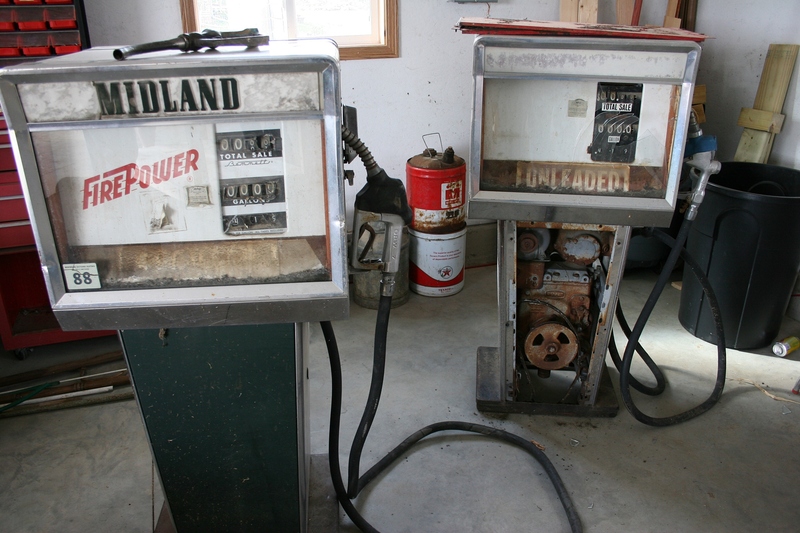 The vintage Midland gas pumps purchased by my Uncle Milan at the gas station auction. My brother Brian recently bought the pumps from Milan with plans to restore them. It’s not the gas pumps nor the tires nor the anything vehicle related, really, that imprinted most upon my memory about his gas station. Rather, it’s the vending machine that dispensed salted peanuts. And the pop machine, which, when pulled opened, rattled with icy cold bottles of 7-Up and Orange Crush and Hires root beer. Rare treat of soda drunk too fast. Burps stinging my nose. And salty peanuts in hand, their paper thin wrappings wafting to the floor. I remember, too, the step down from the store interior through the tight doorway into the shop which smelled of oil and rubber and grime. The magical place of the hoist. Vehicles seemingly levitated into the air. 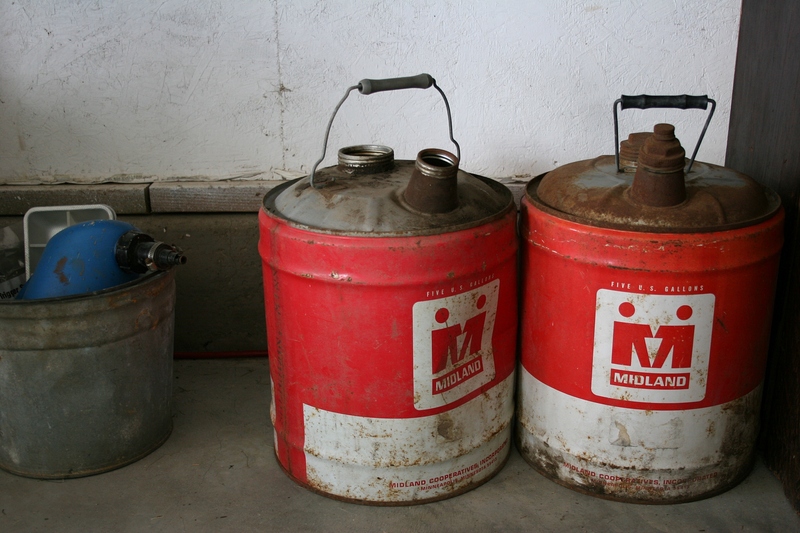 Vintage gas cans in my brother’s garage. This, a garage where my uncle and the mechanic I remember, Gary, changed tires and oil, replaced belts, fixed whatever needed fixing. 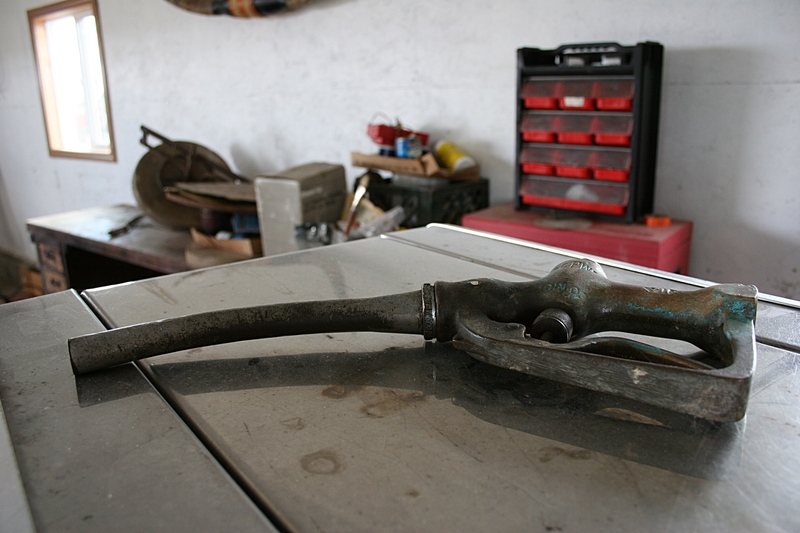 A gas nozzle from the Midland gas pump. Outside, they pumped gas at this full service station. Rag pulled from back pocket to wipe the dipstick and check the oil. Wipers slapping against windshield as a squeegee washed away dust from gravel roads and crops and remnants of bugs splattered upon glass. Memories, too, of boarding the Greyhound here, bound for Minneapolis. Me, a young farm girl with blue floral suitcase tucked inside the bowels of the bus, paper ticket in hand, ascending the steps. Alone. En route to visit my Aunt Rachel and Uncle Bob along Bryant. 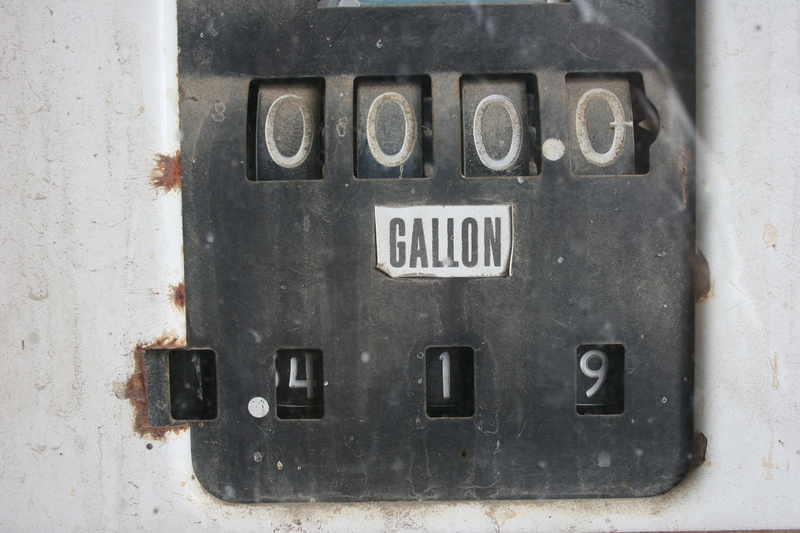 The price on the old gas pump: only $1.41.9 a gallon. Memories, still holding tight all these decades later, years removed from affordable gas and full customer service. THOSE ARE MY MEMORIES. My uncle’s differ, yet intermingle with mine. Uncle Harold started driving gas truck part-time in the early 1950s for City Service in Vesta, eventually hired on full-time under new ownership in a new location at The Old Log Cabin. More on that later. He figured, Harold says, that delivering bulk gas for the new Midland service station would be better than farming. 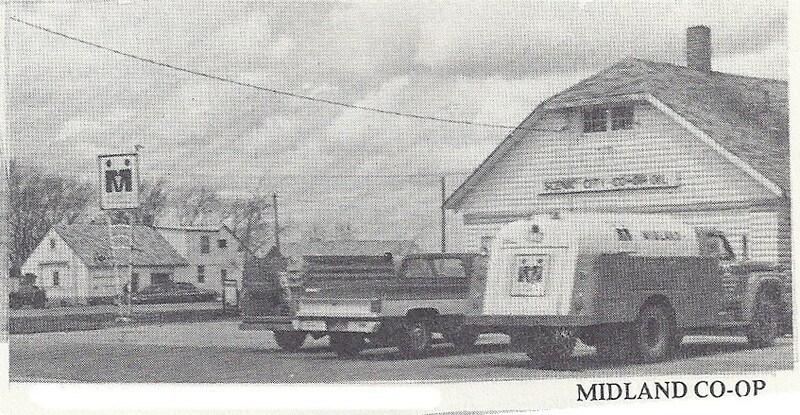 My uncle’s gas station, right, with the fuel delivery truck parked out front. Photo from Envisioning a Century, Vesta, 1900-2000. Oh, the stories he could tell of his years working at, managing and then eventually purchasing the station, renamed Harold’s Service, in 1966. If I had all day to listen. Tales of rescuing stranded motorists during harsh winters on the prairie. After he sold the station’s tow truck, Harold and crew would use the bulk fuel truck to pull vehicles from ditches and snowdrifts along Highway 19. He recalls upwards of 20 travelers once waiting out a snowstorm at the station. Another time four stranded motorists played poker until closing time, at which time they were dropped off at snow homes in town, houses with empty beds. This, all before the days of snow gates installed to close the highway. He sold snow tires and changed oil, washed cars in the east stall of the garage, delivered bulk gas and fuel and even fertilizer (for awhile). Pumped gas. Fixed whatever needed fixing. At one time he employed as many as four mechanics. Open every day until 9 p.m. Open until noon on Sunday. Was it a better life than farming? For awhile, Harold says. Before gas prices shot up and it took a lot of money to buy a tanker full of gas to operate his business. Good before three other places in town started selling batteries. Good before the fertilizer plant added gas pumps. Good before car washes. Decades later, Harold accepted a job as maintenance worker for the City of Vesta, leaving his middle son to run the station. When Randy found a job in nearby Marshall several months later, the station closed. That was in 1991. Today the service station is gone, replaced by another automotive business. The old building that housed the station was moved west of town and remodeled into a second home. He also recalls delivering gas for City Service to the tavern, which had a single pump. There’d never be money for the gas Harold brought. But the guy who delivered beer had no trouble collecting payment. I’d like to see The Log Cabin again, the place where I accompanied my dad, boarded the Greyhound, later filled my 1976 Mercury Comet with gas. I’d imagine, too, the beer drinkers who packed the former tavern, crammed into booths in the area where my uncle had his office and front counter. I’d think about that and all those stranded travelers once waiting out a prairie blizzard at Harold’s Service. 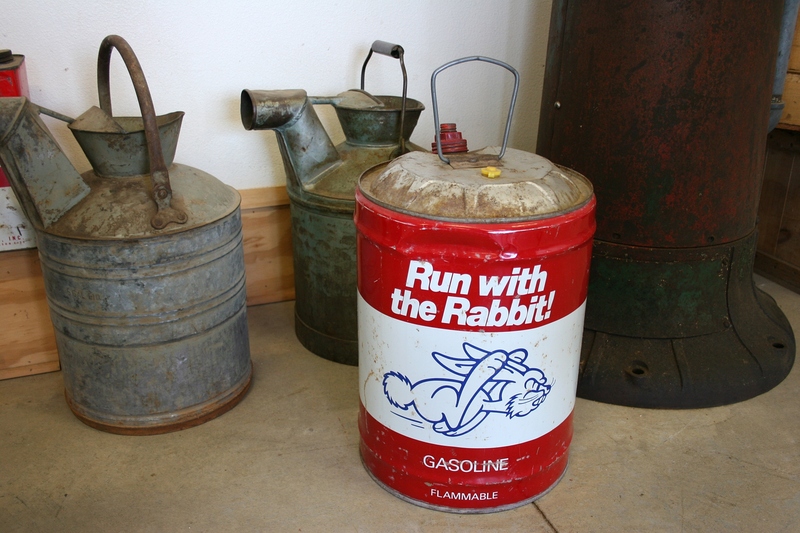 My siblings and I covet this gas can in our brother Brian’s garage because we attended Wabasso High School. Our mascot was a white Rabbit. OH, MY GOSH, people, am I excited. Sunshine and warm temps defined Minnesota weather on Wednesday. Look at this photo. No, don’t focus on the ice dams plugging the eave trough. 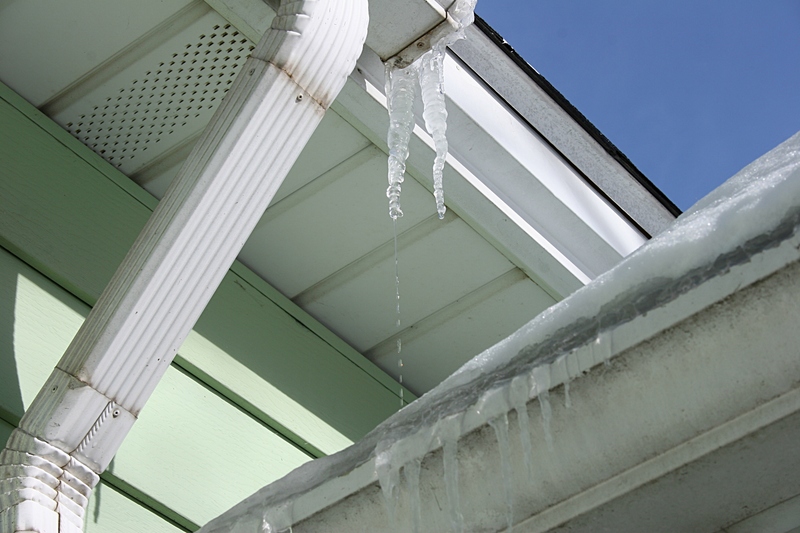 Rather turn your eyes to those two top icicles and specifically to the water streaming from the left one. Yes, the temperature here in southeastern Minnesota soared to a balmy 30-ish degrees Wednesday afternoon. That, combined with abundant sunshine, created enough warmth to start the melting process, at least along the roof line of my house. But mostly, in a January that’s been marked by sub-zero temperatures and windchills in the double digits below zero, as in minus 40 degrees Fahrenheit, this one-day respite lifted my spirits. I mean, to step outdoors into the sunshine in a zipped sweatshirt rather than my wool pea coat felt absolutely glorious. Glorious, I tell you. But this morning it’s back to reality with lower temps and more snow. Gosh, I haven’t shoveled snow since Sunday. 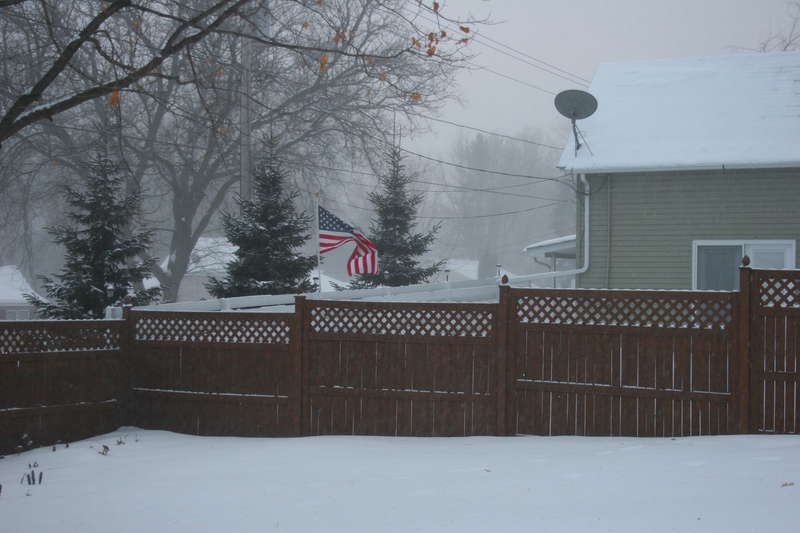 Snow has been falling at a steady pace in Faribault for several hours as shown in this image from my neighborhood. Snowplows are out in force this morning as yet more snow has moved into Minnesota, creating a mess out there on the roads. Travel along Interstate 35, and in all of southeastern Minnesota, is tagged as “difficult,” according to the Minnesota Department of Transportation 511 website. Be careful if you must be out and about today. 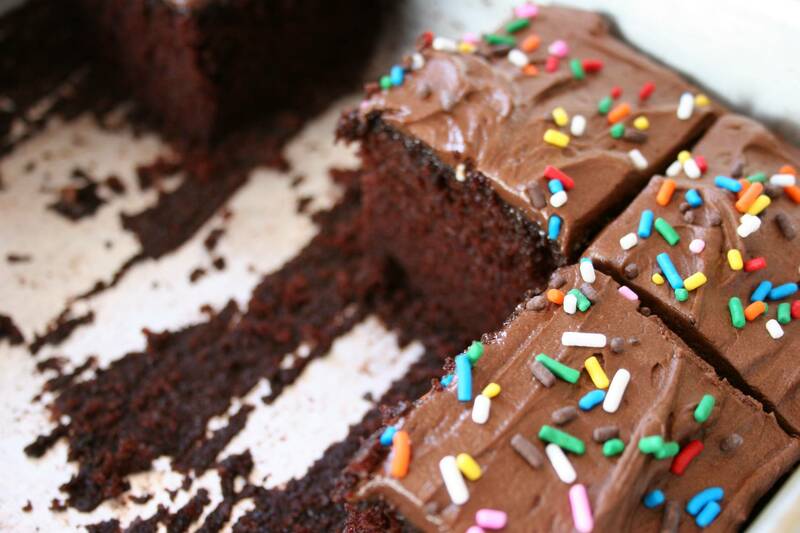 A CANDLE-TOPPED CAKE and a small toy may not seem like much to celebrate a birthday. But to a child in need, both mean a great deal. The booklet from which my siblings and I chose our birthday cake designs. I understand. Growing up in a poor farm family on the southwestern Minnesota prairie, I did not receive gifts from my parents on my birthday. They had no money for such extras. 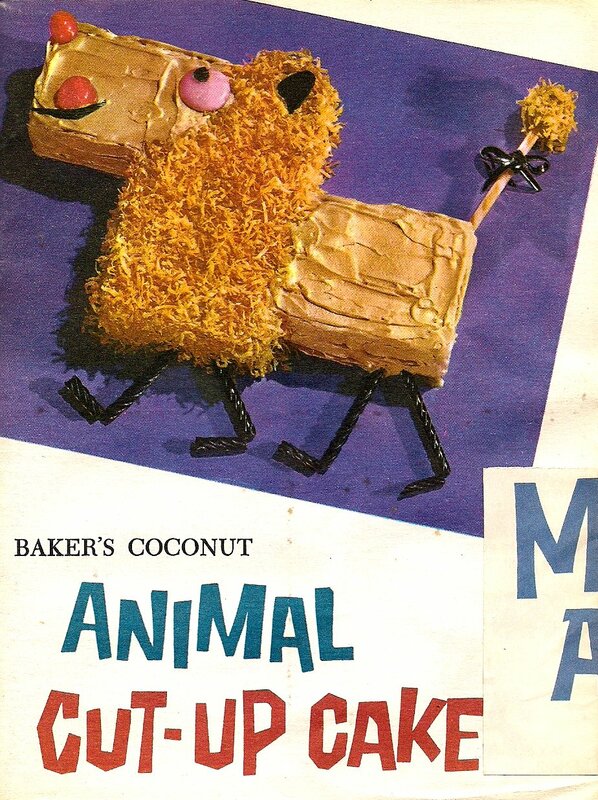 Rather, my mom pulled out her 1959 General Foods Corporation’s Baker’s Coconut Animal Cut-Up Cake booklet so I could choose a design for my birthday cake. 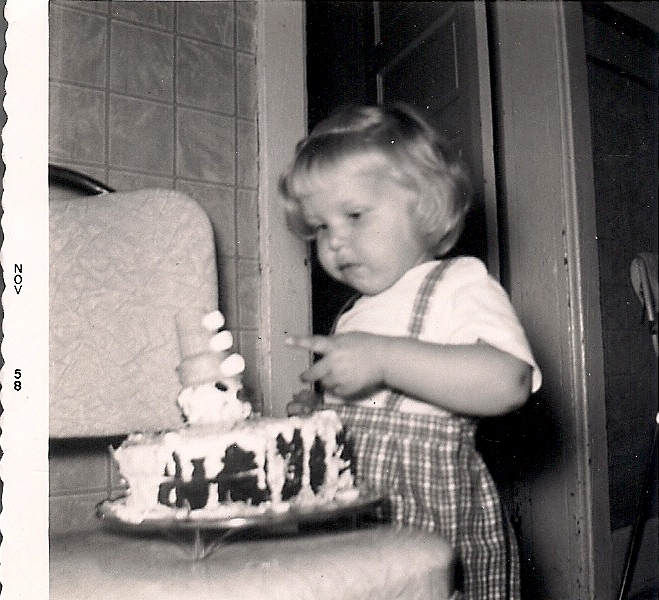 Me with the clown cake my mom made for my second birthday. With those birthday memories on my mind, I was pleased to read Tuesday of a community service project undertaken by the Class of 2019 at Westbrook-Walnut Grove Public Schools, 45 minutes to the south of my hometown of Vesta. Students are assembling birthday bags for Mary and Martha’s Pantry, a Westbrook-based food shelf, according to information in the January 28 issue of the Westbrook/Walnut Grove Charger Report on the school website. Birthday gift bags will include cake mixes. Minnesota Prairie Roots file photo. The gift bags will include a cake mix, frosting, candles, a Happy Birthday banner and a small toy. How sweet is that? I love to learn about kids doing good. SOME 170 MILES to the north and east in the Twin Cities metro, Eagan-based Cheerful Givers has provided birthday gift bags to 700,000-plus children during the past 20 years. And might I add, these bags filled with 10 items like books, plush toys, puzzles, stickers and more, simply make a child happy. FYI: To learn more about the W-WG school project, click here and see #13 in the Charger report. To learn more about Eagan-based Cheerful Givers, click here. FENCES HEIGHTEN my curiosity. It is the unknown, the wondering what lies behind the barrier, the sense of mystery that intrigues me. Yes, I read Nancy Drew and The Hardy Boys growing up with mysteries still my preferred genre. 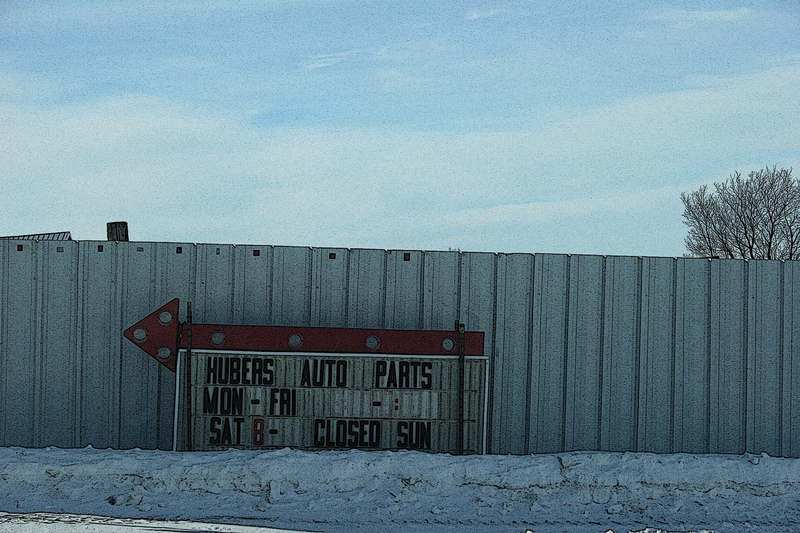 In the above image, solid panels block the view of junked vehicles at Hubers Auto Parts west of Faribault. Junkyards, as they were once commonly called, aren’t particularly pretty places. Heck, they aren’t really pretty at all unless you view the contents therein as art or in the context of recycling. Through the years, these places have attempted to change their bad boy image. Auto parts sounds so much nicer than junkyard, although junkyard possesses a certain romantic ring. 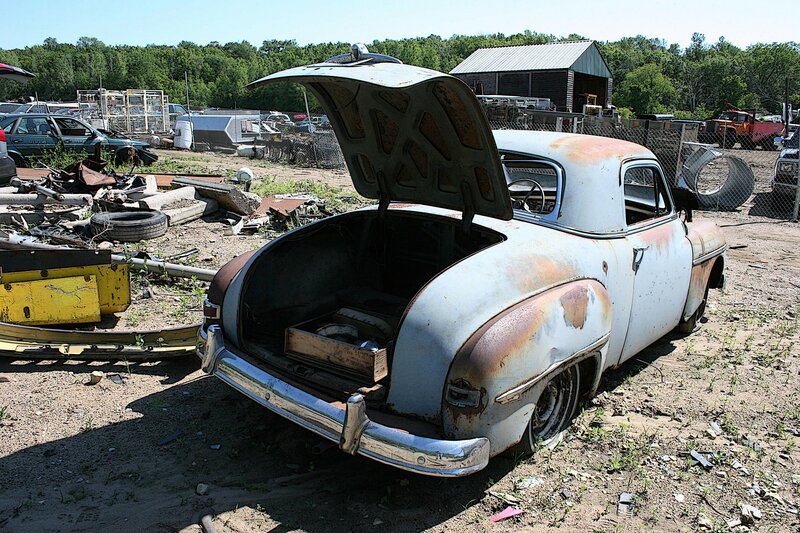 A scene from another Faribault area “junkyard.” Minnesota Prairie Roots file photo 2009. Still, even words cannot diminish the visuals of crushed cars, cracked windshields, smashed doors and the reality that many of these vehicles arrived here with some tragic story. 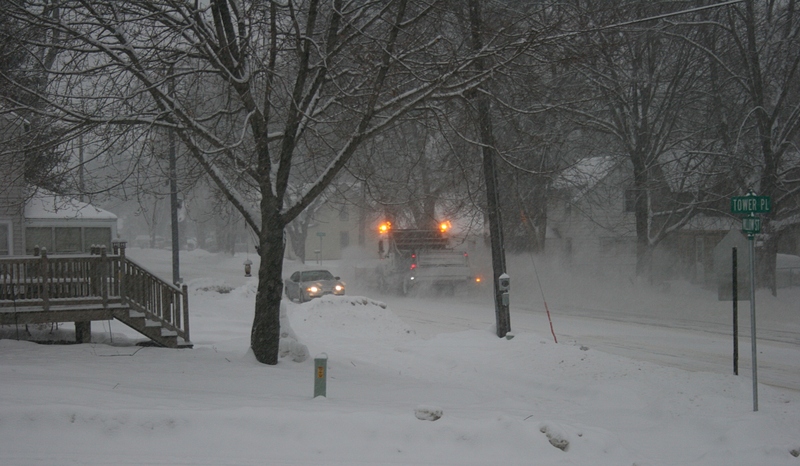 A view from my front window around 4:30 p.m. shows reduced visibility due to blowing snow and fresh snow falling. Extremely dangerous travel…travel with a winter survival kit. No plowing until the winds subside. Shot from my back steps looking into my backyard and toward my neighbor’s yard to the south. Standing at the end of the driveway, I aimed my lens toward the side street past my corner house. And then I turned the other direction to photograph Willow Street, a main arterial street in Faribault. WRITTEN EARLIER, AROUND 2:30 P.M.
SNUGGED UNDER A FLEECE THROW in my home office, mug of hot chocolate to the right of my desk, fingertips resting on the computer keyboard, I glance outside. The sun blazes, for the moment, upon a landscape that appears deceptively serene here in a valley in Faribault. But then I shift my gaze higher, toward the sky and the tips of trees that reveal the truth in bending branches. Wind, oh, powerful wind. Occasionally snow blasts around the corner of the house. My area of southeastern Minnesota, like much of the state, is currently in a blizzard warning. “The photograph was taken along Minnesota Highway 30 in southwestern Minnesota in January 2010. This gives you some idea of the landscape and how wind can whip snow. Conditions today are much, much worse than those shown in this image. 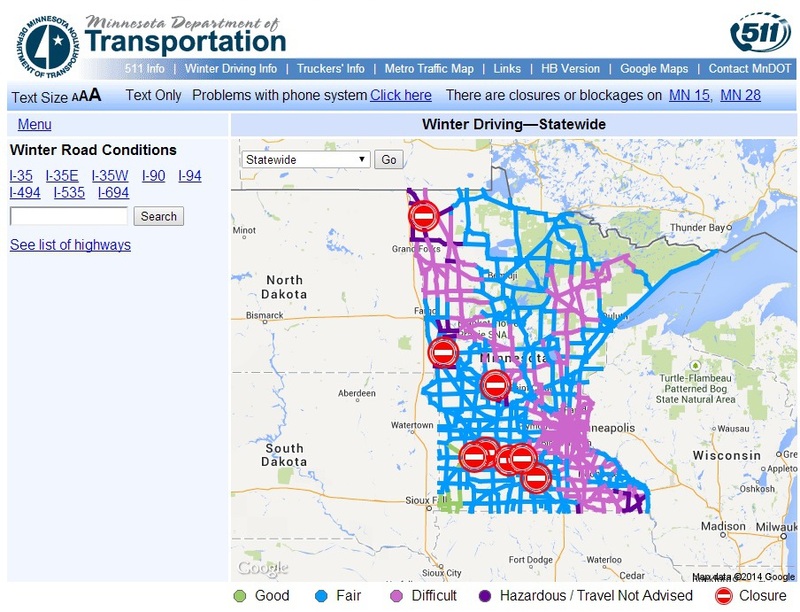 I google Minnesota 511 to learn of difficult driving conditions, spin-outs and crashes and a jackknifed semi along the stretch of Interstate 35 stretching from Burnsville to the Iowa border. 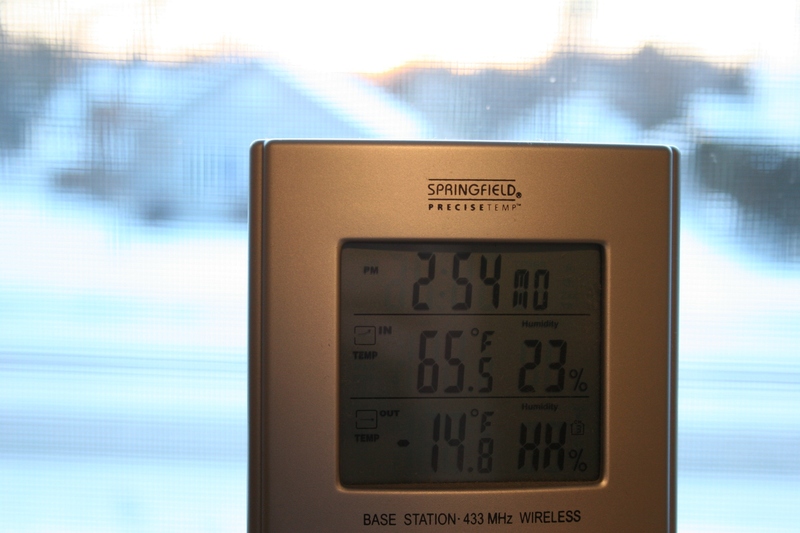 On television, I view footage of current conditions in the Northfield area 15 miles away. Visibility is poor with blowing snow on I-35. 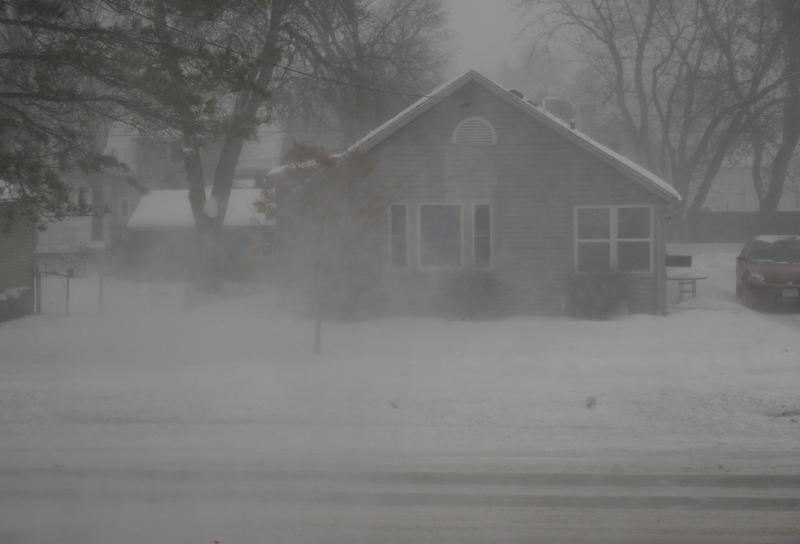 Across the border in North Dakota, Interstate 94 between Fargo and Bismarck has been closed. 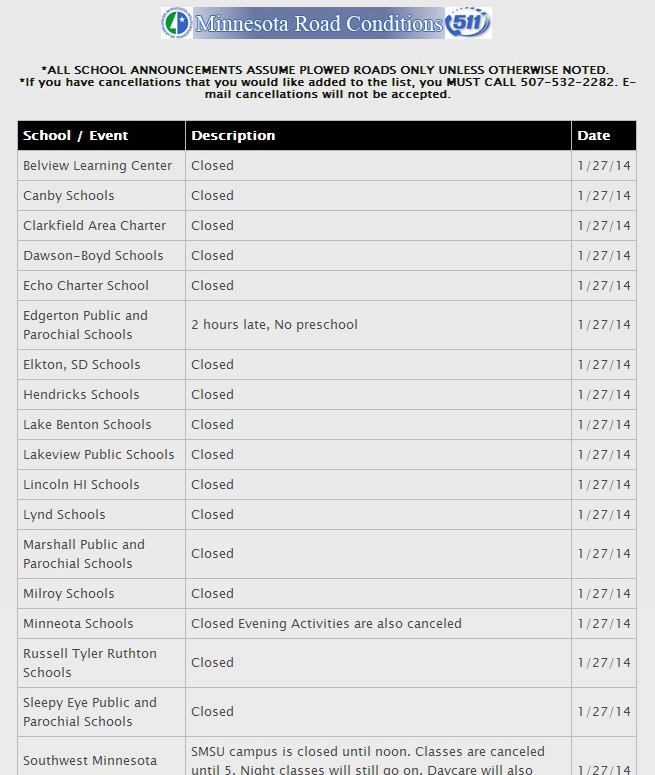 The Fargo Forum currently lists 294 severe weather related announcements. In my native southwestern Minnesota, U.S. Highway 71 has been closed. 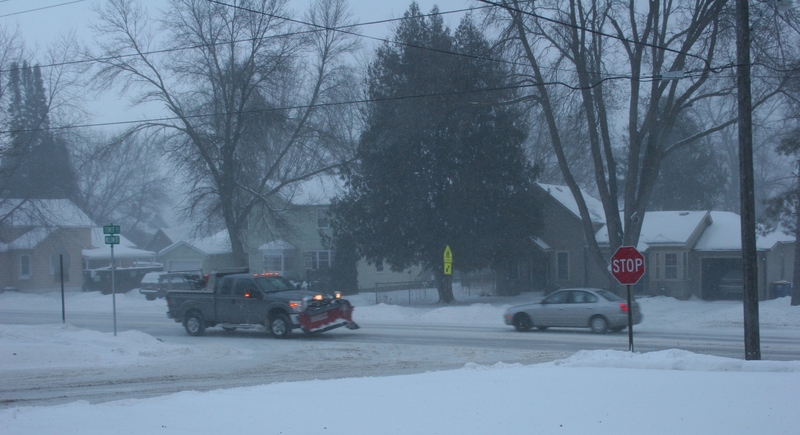 I expect it won’t be long before snow gates are pulled across other roadways as conditions deteriorate. I will phone my mom shortly, as I do every Sunday. I expect she will tell me church services were cancelled. Again. 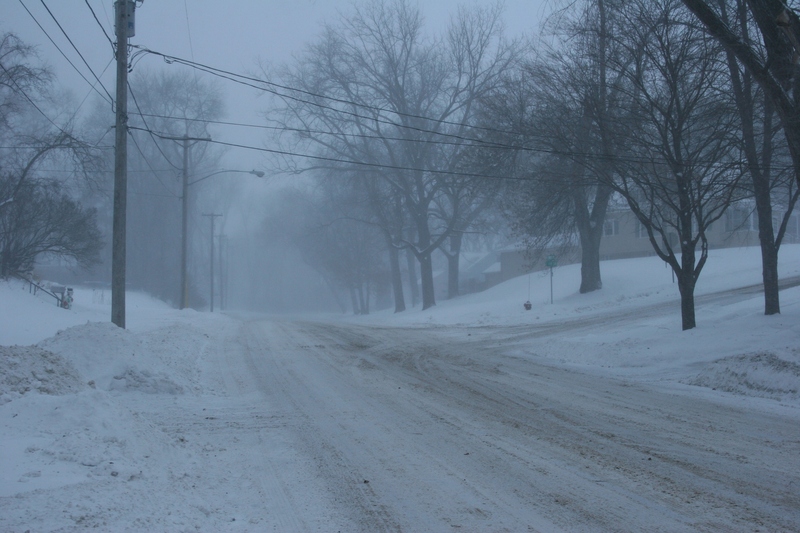 Too many Sundays already in recent weeks, services at St. John’s Lutheran Church in Vesta, and in other southwestern Minnesota prairie communities, have been cancelled because of the cold and/or snow. 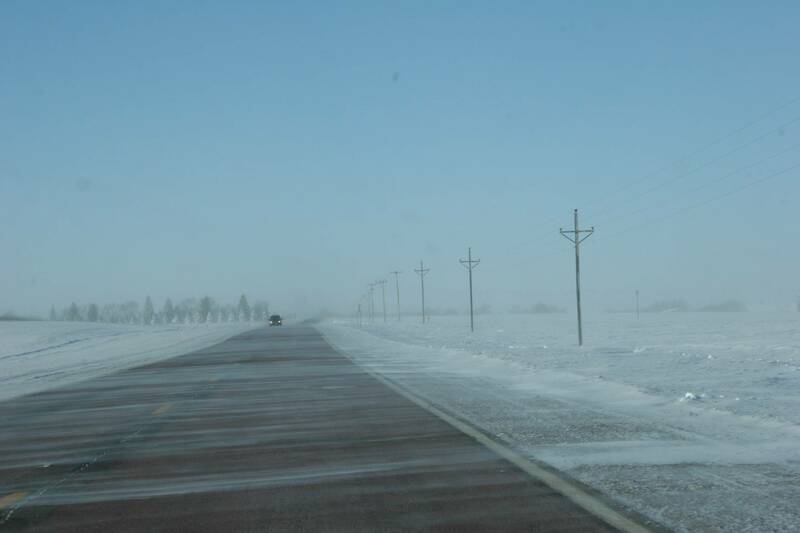 When wind whips snow across the open landscape of that region, it is not safe to be out and about. Tomorrow, once this blizzard ends at midnight, temps will plunge into the deep freeze again. Nearly unbearable cold. RIGHT NOW YOU’RE likely wondering about that title, Beer, brats & bare feet. What’s the connection? The commonalities, my friends, are the letter “b” and Minnesota. The other morning a customer stopped by the automotive machine shop which my husband runs in Northfield, Minnesota. Nothing extraordinary about that. Customers filter in and out all day. 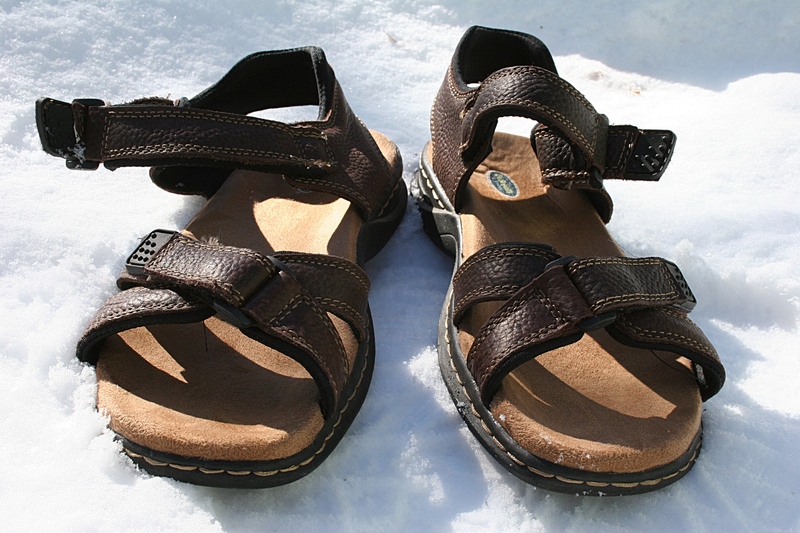 Imagine wearing sandals right now outdoors in Minnesota. But this customer arrived in sandals. On a day when temperatures hovered around zero degrees Fahrenheit and the windchill plunged the “feels like” temp even lower. This guy wasn’t wearing socks with his sandals, as you might expect, although he was wrapped in a winter coat. Naturally, my spouse inquired about the bare feet and sandals. The customer replied (and this is not an exact quote) that he was tapping into his inner hippie. 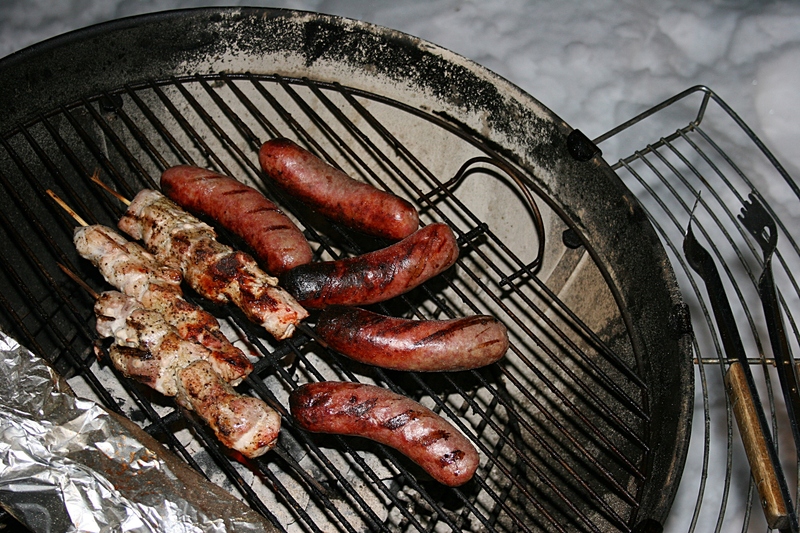 My husband loves brats and grills them year-round along with meats that I will eat. Minnesota Prairie Roots file photo. Over at St. Peter’s Lutheran Church in rural Gibbon, Minnesota, parishioners are apparently tapping into our state’s Scandinavian and German heritages via a Sven & Ole Book Fair at an All You Can Eat Pancake & Bratwurst Dinner from 11 a.m. – 5 p.m. Sunday, January 26. 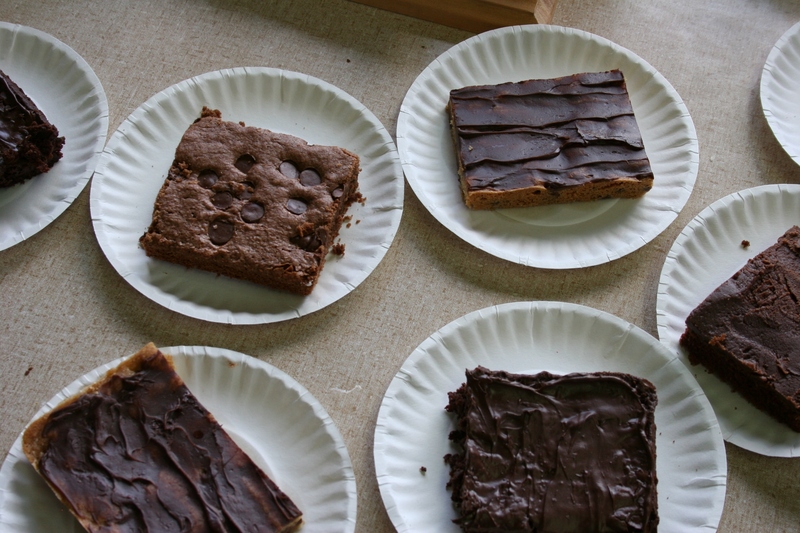 Bars made by Lutherans, but not from St. Peter’s Church. Minnesota Prairie Roots file photo. Also on the menu are applesauce, cheese, cookies and bars. Yes, bars. 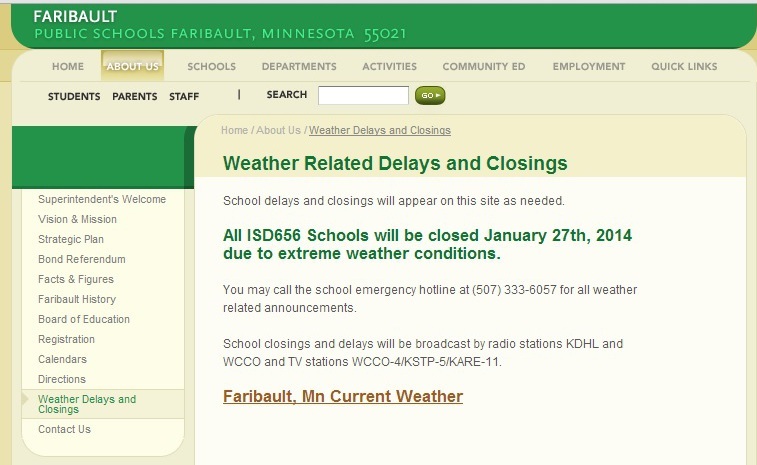 How Minnesotan is that? And how Minnesotan that the book fair comes via Sven & Ole’s Books in the nearby noted German city of New Ulm. And, yes, the proprietor’s name truly is Sven and his brother’s middle name is Olaf, Ole for short, according to the bookstore website. 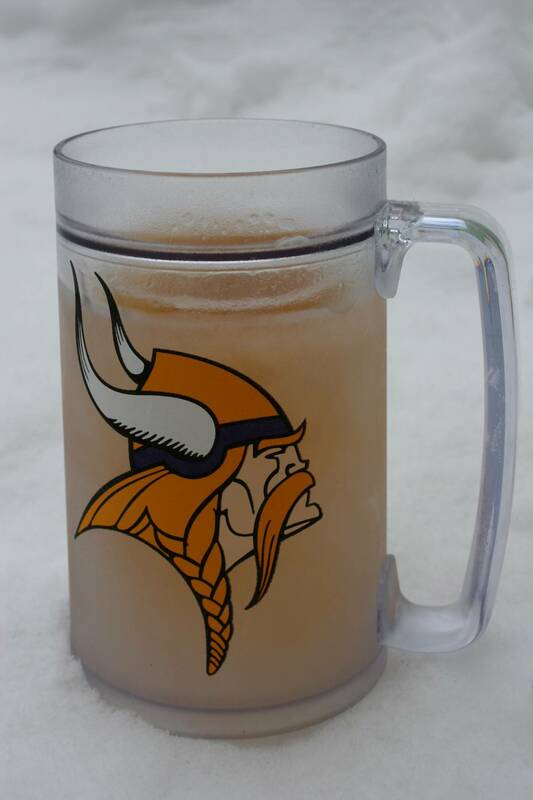 Icy cold beer served up in a Minnesota Vikings mug. Minnesota Prairie Roots file photo. Now about that beer, which I think would be a better accompaniment for brats than pancakes. I like neither brats nor pancakes, although I am 100 percent German. But I do like bars, the kind you eat. And I enjoy an occasional mug of beer. I learned through a recent column in The Gaylord Hub, a small-town newspaper where I worked as a reporter and photographer right out of college, about the Minnesota Historical Society’s “Beer and Brewing in the Land of Sky Blue Waters” lecture/workshop offering. It is funded through grant monies from Minnesota’s Arts and Cultural Heritage Fund as part of the Minnesota Historical Society in the Libraries Adult Programming. 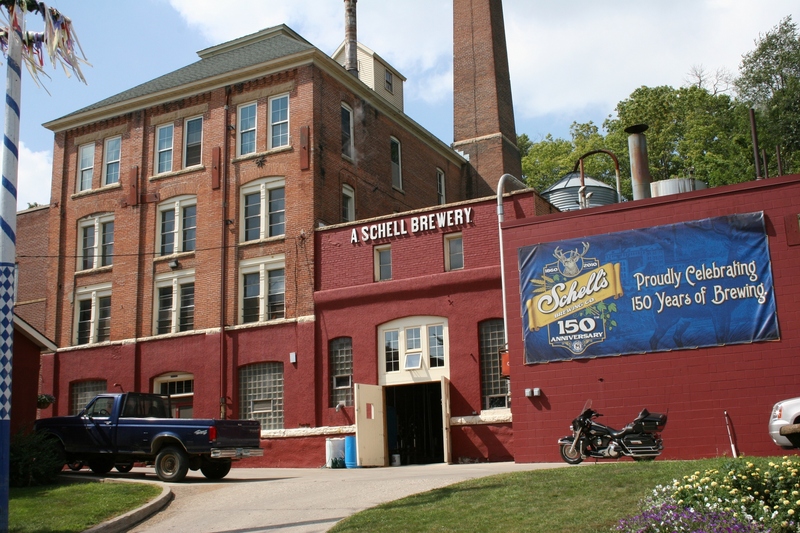 August Schell Brewing Company in New Ulm. Minnesota Prairie Roots file photo. A “discussion of brewing history along with beer tasting by Schell’s,” a New Ulm brewery, was recently held at the Gaylord Public Library, for adults 21 and over with valid ID, according to info written by Gaylord’s librarian. Two days later, nearby St. Peter hosted the same beer event at its community center. So there you have it. Beer, brats and bare feet in Minnesota. Cheers.